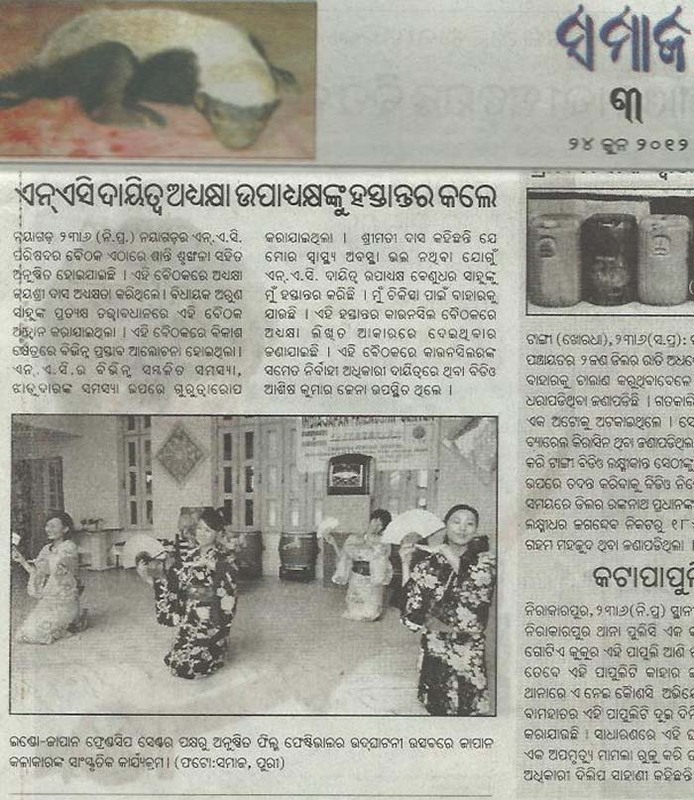 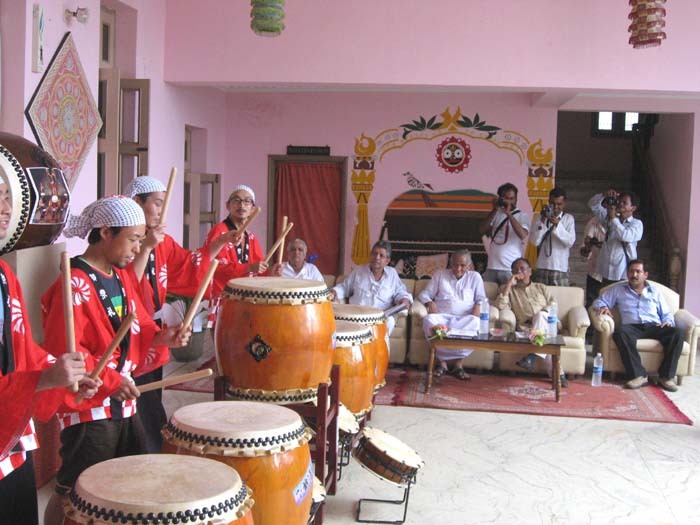 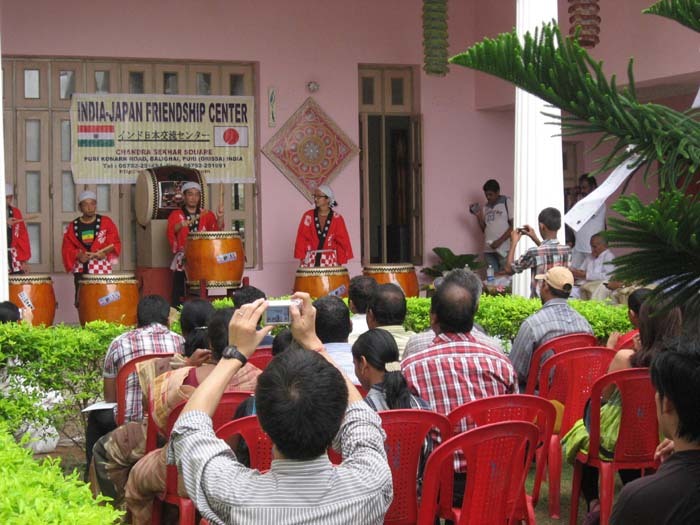 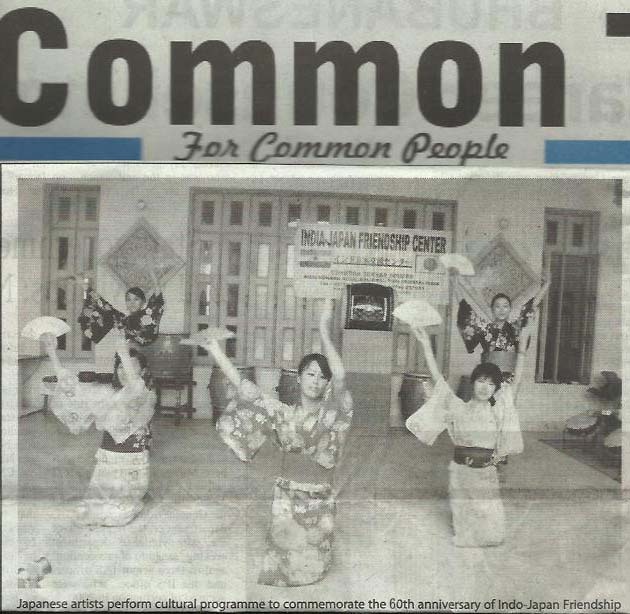 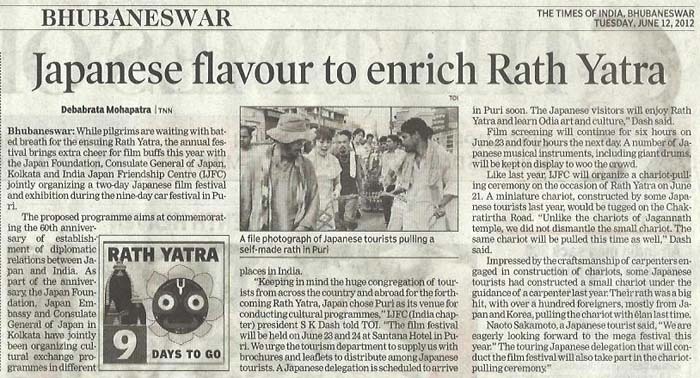 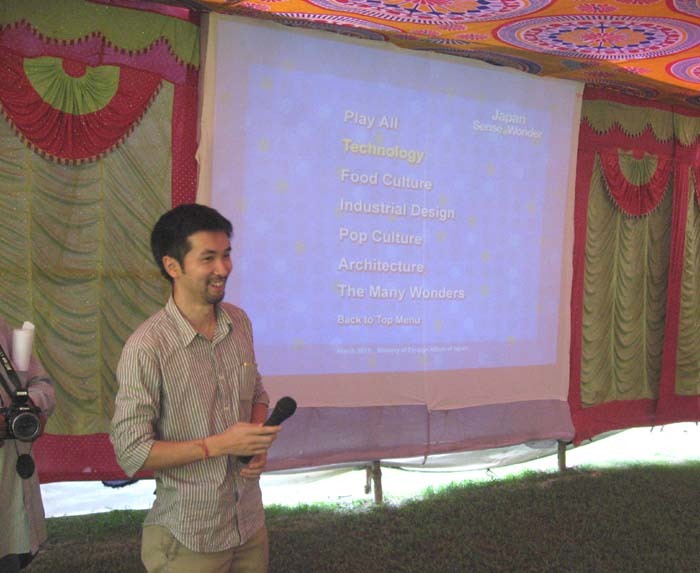 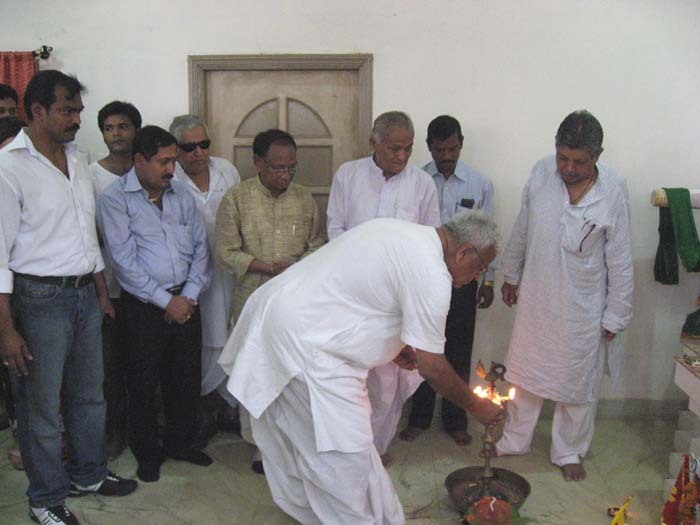 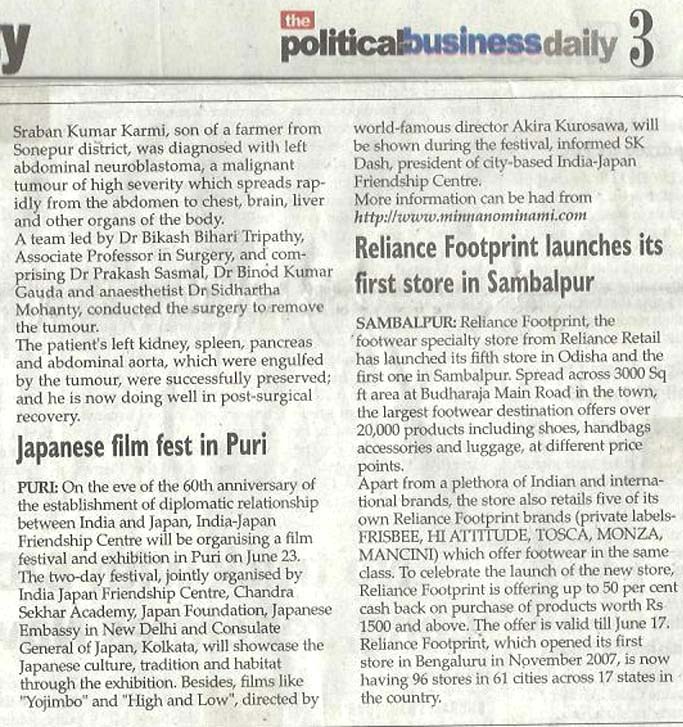 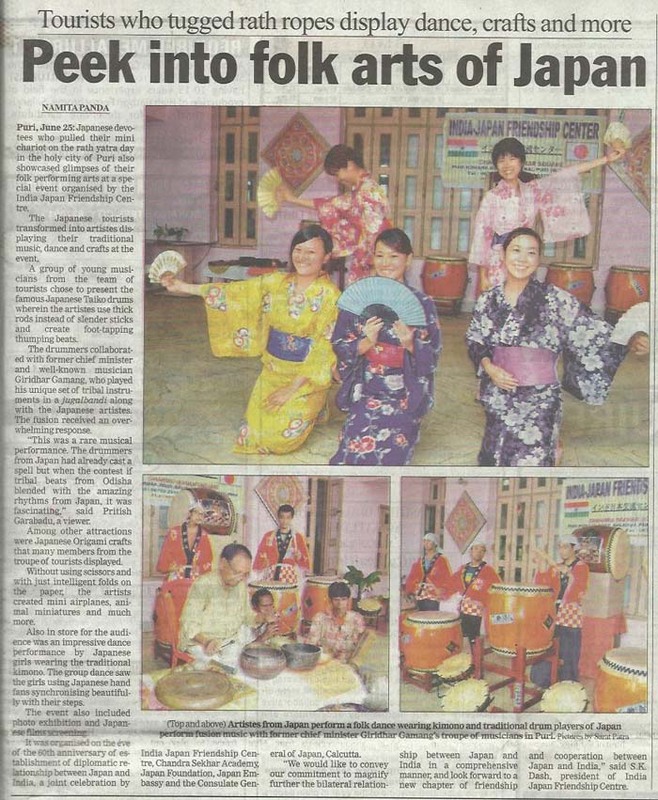 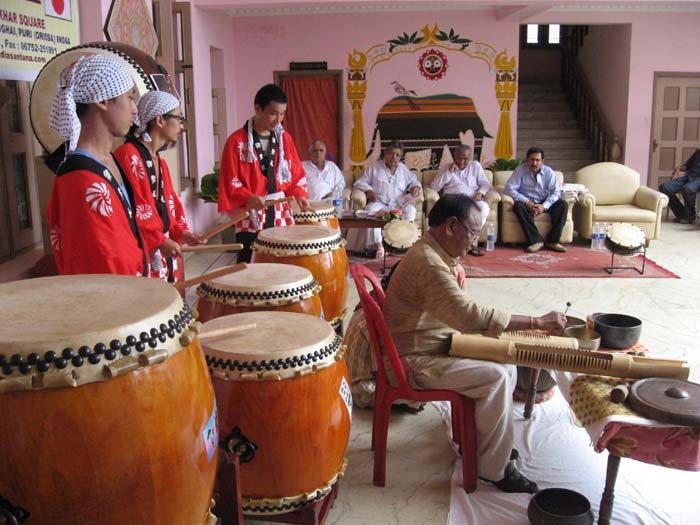 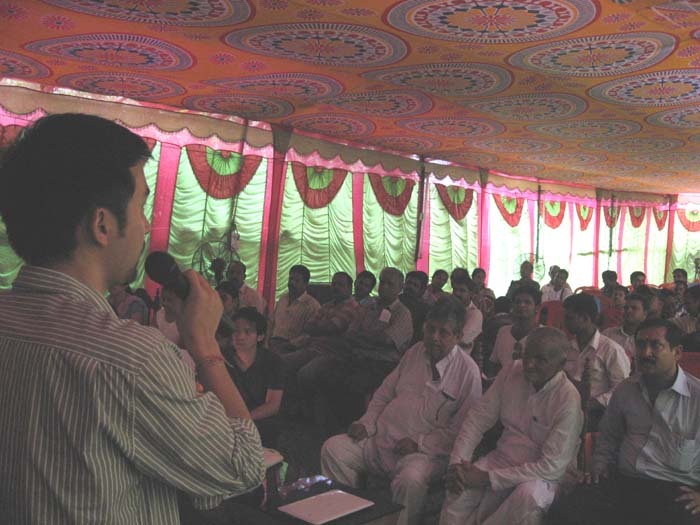 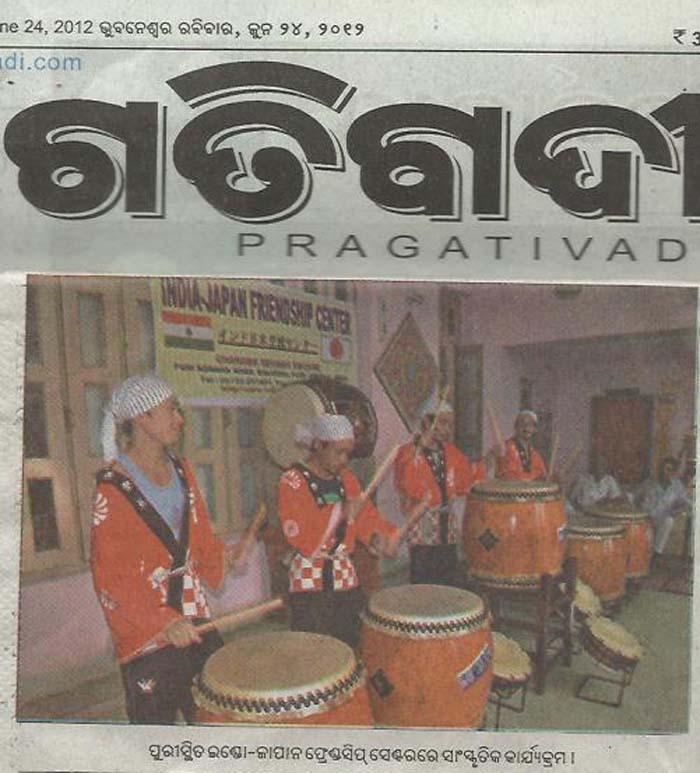 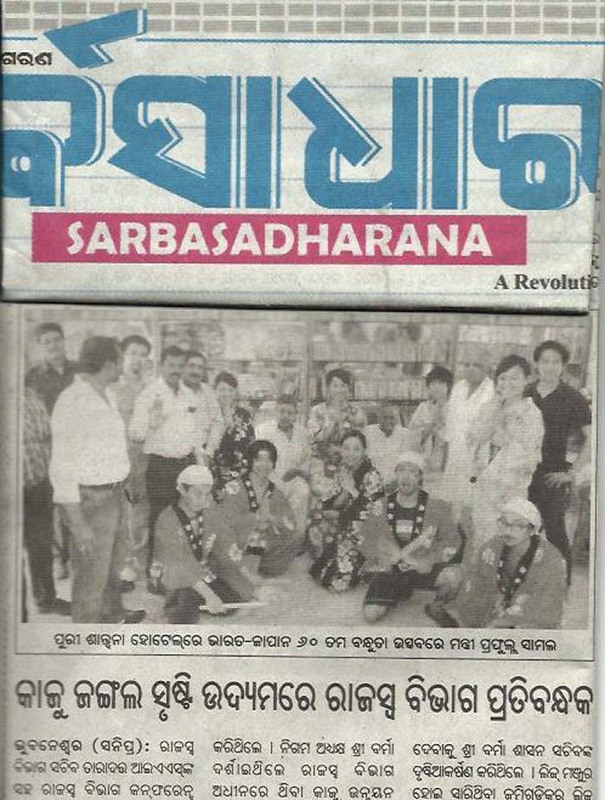 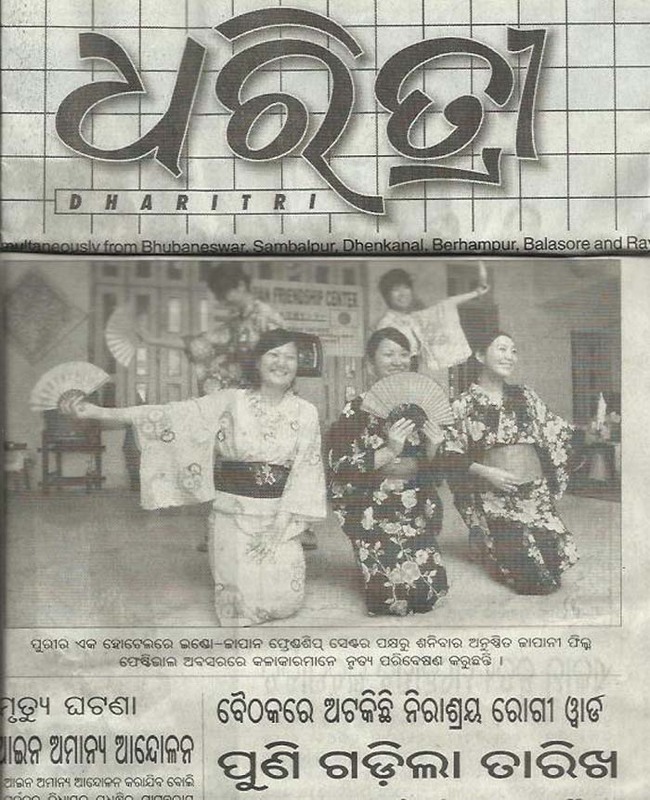 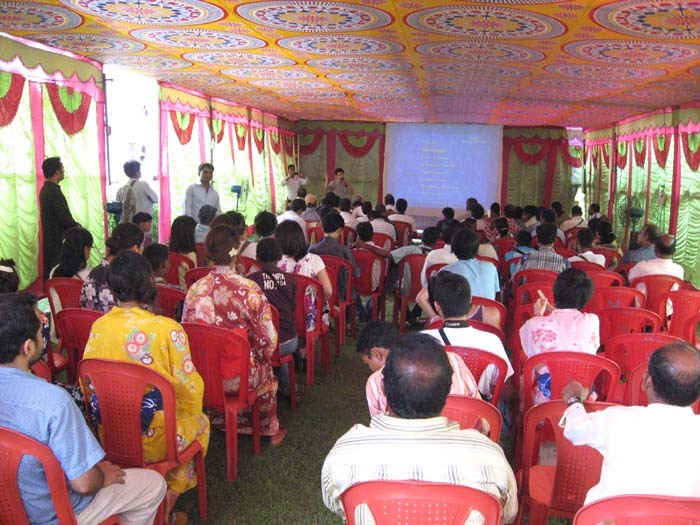 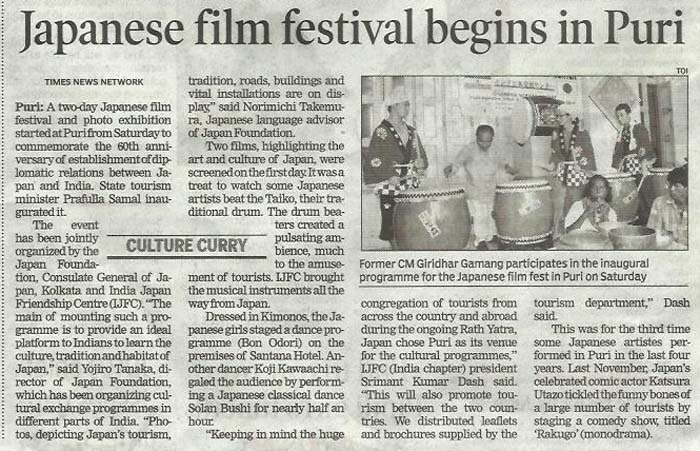 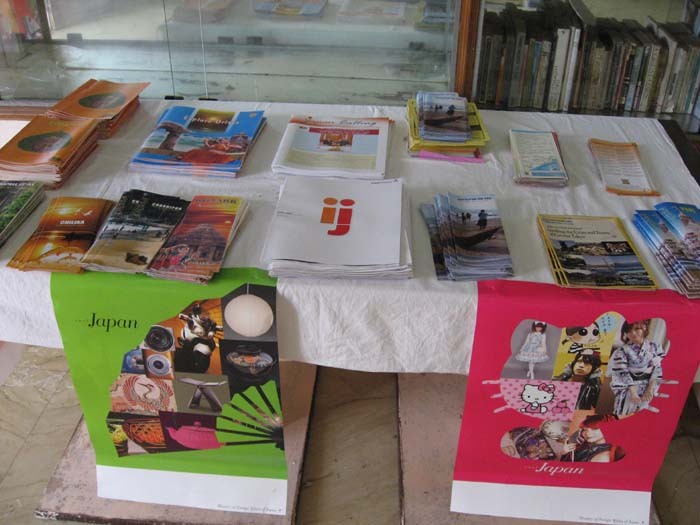 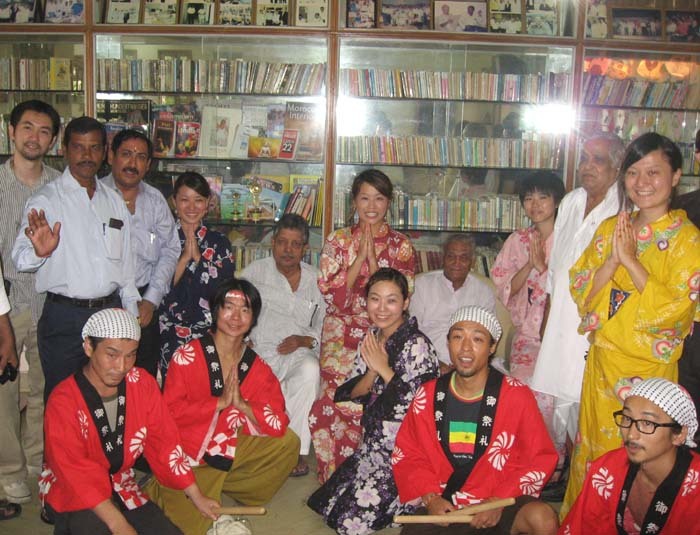 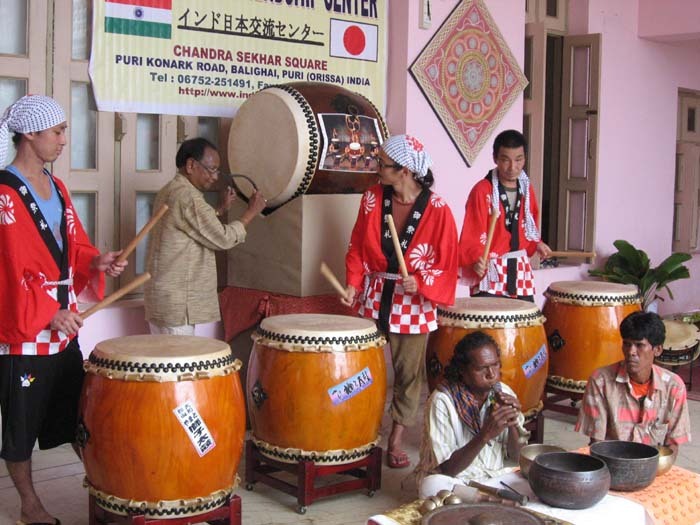 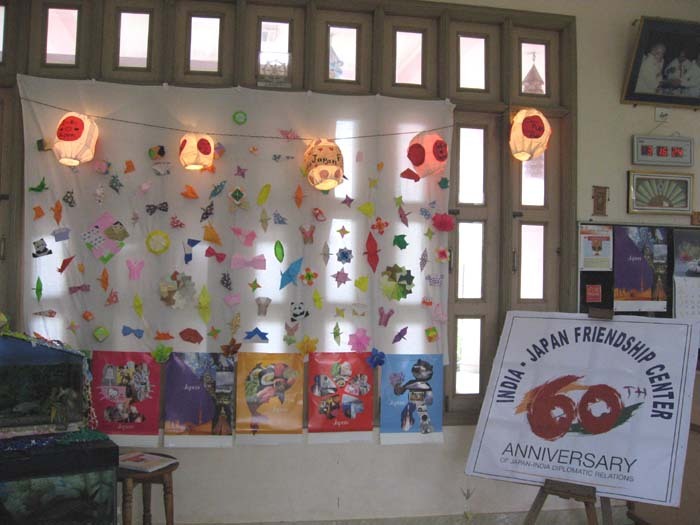 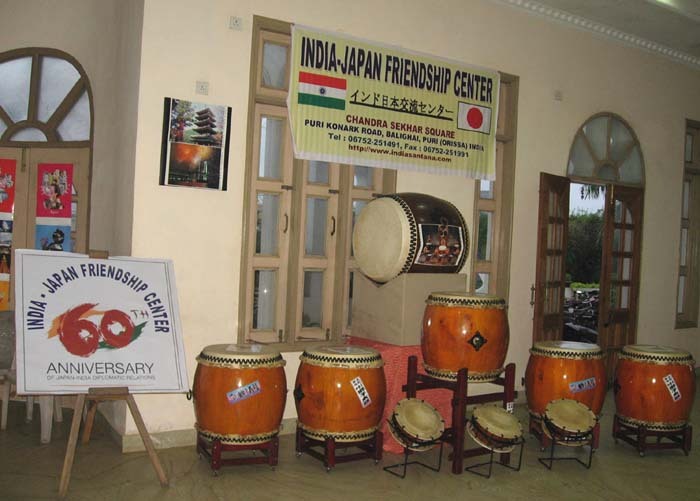 On the eve of the 60th anniversary of establishment of diplomatic relationship between Japan & India, a joint celebration has been organised in the cultural capital of Odisha ,puri with the active participation of India Japan Friendship Center, Chandra Sekhar Academy, Japan Foundation, Japan Embassy and the Consulate General of Japan, Kolkata.The joint organisation appeal to the people of Odisha to participate the celebration in heart &soul to make the programme colourful & grand. 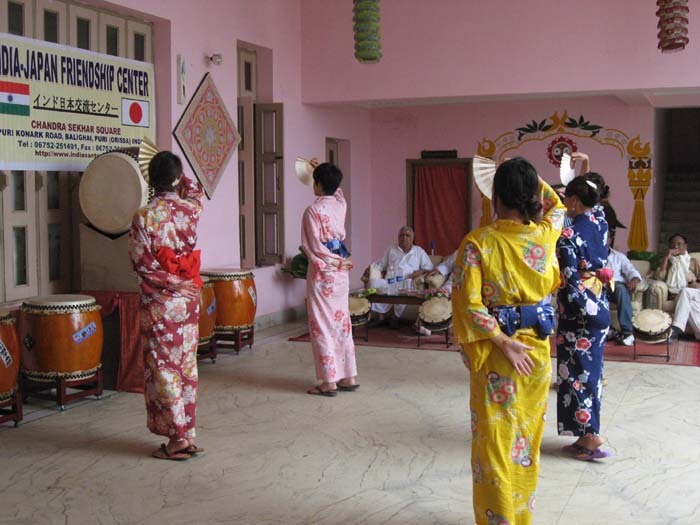 The more you get in to the celebration, the more you learn about Japanese culture,tradition and habitat. 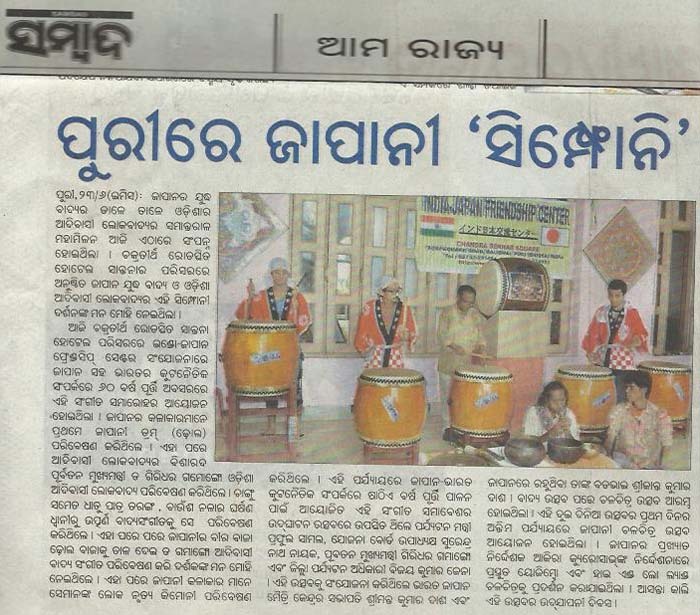 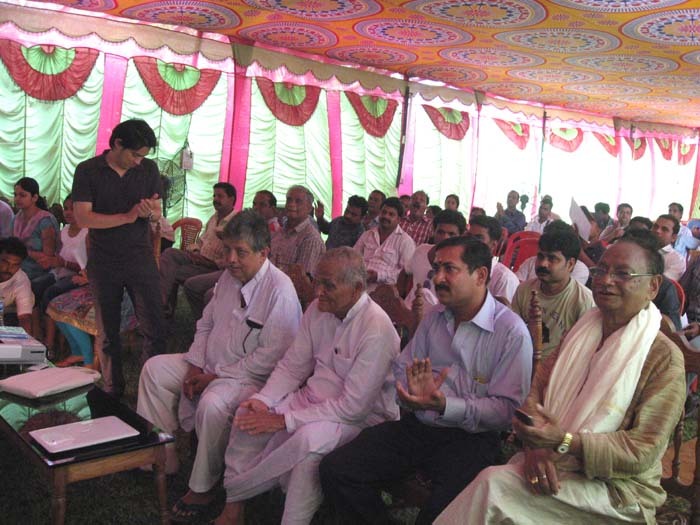 Let's join hands together to make a big clap that may resound farther & farther. 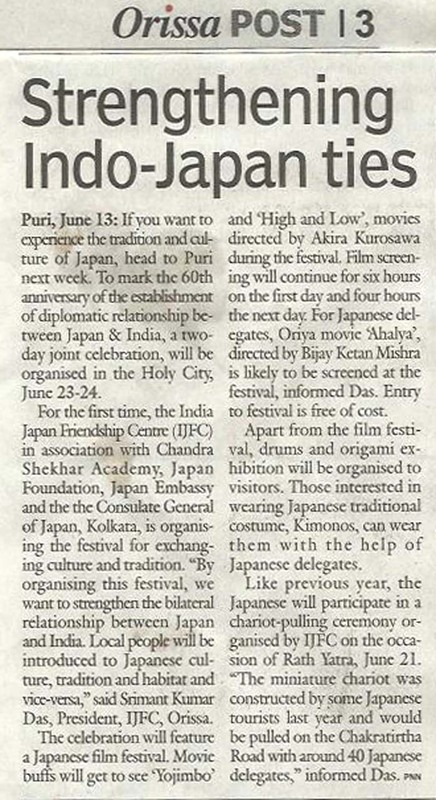 We would like to convey our commitment to magnify further the bilateral relationship between Japan and India in a comprehensive manner, and look forward to a new chapter of friendship and cooperation between Japan and India. 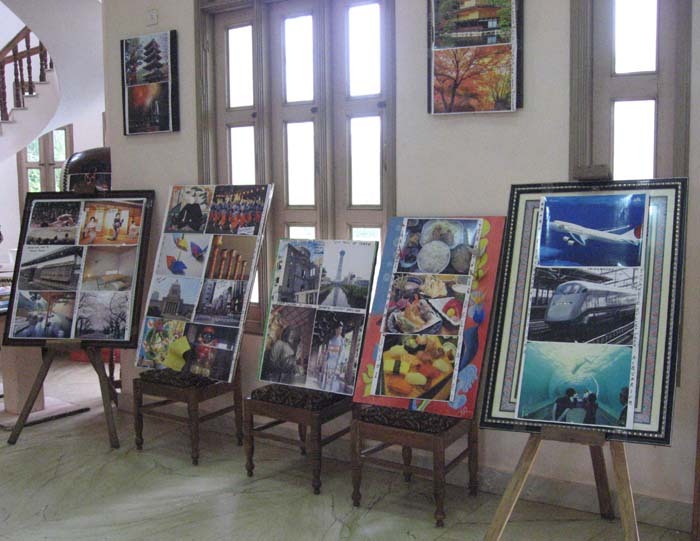 You are once more invited and avidely awaited to grace the occasion and inspire us to make the program splendid and grand.